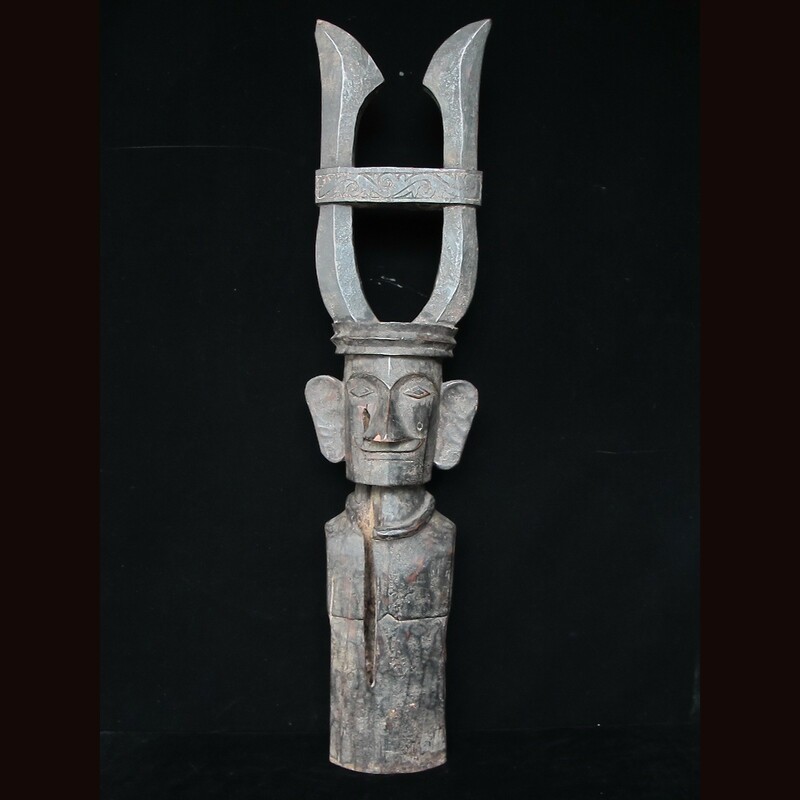 Throughout Nias, ancestor figures are created to honour the dead and protect the noble house and its descendants. 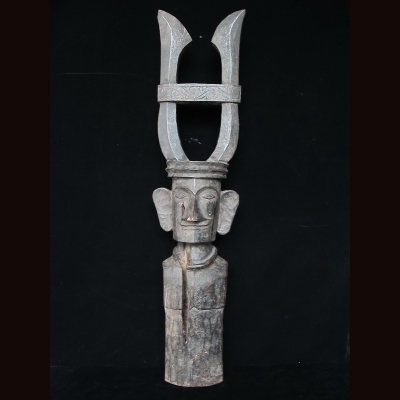 This Adu sihara is ancestor figure that is idolized.The nias people idolized this figure as it is believe to be able to prevent disaster . condition - used ( this piece has been treated with some minor old termite infection on the body and probably some minor restoration on the area (see picture for details) minor chip on the nose .item sold as it is.i got it from indonesia and the person who own it said he has it for more the 20 years.